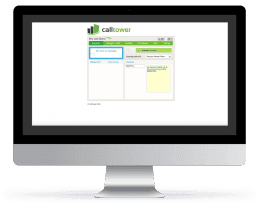 I moved to CallTower based on the recommendation of my Microsoft Dynamics CRM provider in order to provider a phone service integrated with Dynamics. What a mistake. Calls went from 100% reliable with my former provider (8×8) to regularly dropping calls, I would estimate at least 20% of calls were dropped every day. When I called technical support I was told that the problem was “on my end” and spent a lot of time troubleshooting the supposed local problems. In the end, it became evident that the problems were with CallTower and I went back to 8×8 and call quality and reliability returned. Throughout this experience the level of customer support was marginal at CallTower, lots of promises for follow up that never happened. Even now as I have ported out my numbers and given them notice that I am closing my account no one calls back as promised (although they do continue to bill). 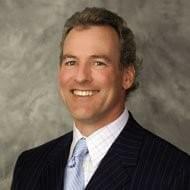 If you are considering CallTower and you want your voice communications to work and want a company that will provide you with a decent level of support, I would look elsewhere. 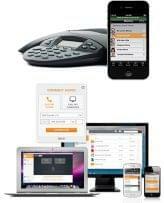 Founded in 2002, Call Tower is a one stop shop solution for Unified Communications. Using seamless integrations with companies like Microsoft Skype, Cisco, Synergy, Five9, Zoom, Office 365 and Adobe, Call Tower offers an extremely flexible platform with numerous possibilities and features. Additionally, Call Tower offers its own cloud voice and network services. CallTower’s network service comes with around the clock monitoring by CallTower’s Network Operations Centers. With a robust global network offering redundant connections through leading providers, CallTower can connect to almost any place at any time. CallTower also provides Multi-Protocol Label Switching (MPLS), dedicated lines and global Session Initiated Protocol (SIP) Trunking all with 24x7x365 monitored services to ensure maximum uptime and available dynamic application failover. Provides local and global businesses with enterprise-grade, reliable performance for real-time applications like voice and video. What Do You Think of CallTower?